The Vivid E90 is a full cardiac ultrasound machine offering a new feature from GE called Csound. What does Csound do? It is a powerful, software-based beamformer image reconstruction platform, the Vivid E90 takes ultrasound to a whole new level – potentially helping to reduce non-diagnostic exams and cost of care. It is supposed to make it quicker by acquiring more information up front, enabling True Confocal Imaging and Adaptive Contrast Enhancement for robust image quality along with many valuable quantification tools and workflow enhancements. 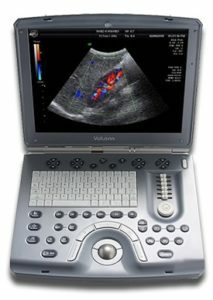 GE Vivid E90 with Csound paired with the XDClear technology captures data from every channel in the probe to deliver spectacular 2D images with greater penetration. Color Flow XDclear transducer technology provides excellent color sensitivity, contrast resolution and spectral crispness. The New configurable touch panel with an Image Manager for quick and easy access to patient images. 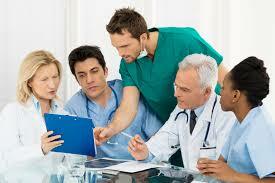 The Vivid E90 is a new machine with a full suite of intuitive tools to better manage each patient, image and day. The Vivid 7 cardiac ultrasound has found its home in hospitals, clinics and private practitioners. 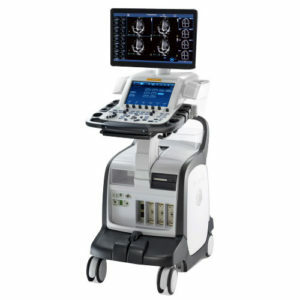 With a very strong edge in cardiac and a great price point, the Vivid 7 ultrasound machine is a proven winner in the industry. 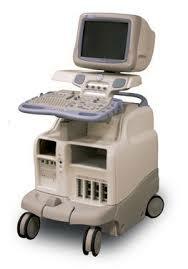 If you want a full cardiac ultrasound but may have a moderate budget, this may be the solution. With either a 17″ or 21″ monitor, you have a loaded machine for stress, ecg, cardiac and vascular applications with powerful imaging capabilities. then you should ask for a price for your specific needs. 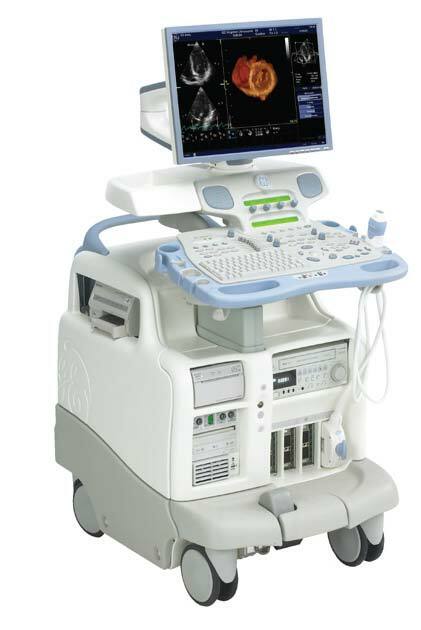 Options like TVI Tissue Velocity Imaging, TT Tissue Tracking and IMT, provide you with a well-rounded ultrasound system for cardiac.